NPR's head of news resigned two days ago amid a widening sexual harassment scandal. Now there is open speculation that the public radio organization's CEO is the next to go. Jarl Mohn, NPR's CEO since 2014, addressed angry staffers at a town hall Friday and apologized for moving too slowly to address the allegations against his lieutenant Michael Oreskes, according to multiple people who were present. Mohn was confronted with difficult questions at the meeting, the people said. Numerous sources throughout the organization -- including correspondents and hosts -- told CNN that they have lost confidence in Mohn as a result of the scandal. Some members of the newsroom feel that Mohn ignored internal warnings and didn't want to dig too deeply into possible misconduct. The employees insisted on anonymity to speak candidly about the turmoil inside the organization. On Friday, the Washington Post reported that "two more women have filed formal harassment complaints" against Oreskes, "bringing the number who have accused him of misconduct to five." One of those women also spoke with CNN. "I think Jarl should resign," she said. "Many people now are questioning his leadership and feel he failed us, and enabled a serial sexual harasser." When he was forced out on Wednesday, Oreskes said, "my behavior was wrong and inexcusable, and I accept full responsibility." Inside NPR, attention has now turned to Mohn and senior management. Mohn sounded committed to regaining the staff's support during Friday's town hall, the people who were at the meeting said. He emphasized that an outside law firm will be conducting an investigation of his handling of the Oreskes matter. Friday's town hall was deemed off the record "so staff could speak freely about their experiences," a spokeswoman said. According to a participant, three of the most-respected woman in the organization, Nina Totenberg, Cokie Roberts and Susan Stamberg, "all spoke passionately about their anger and heartbreak over this and the need to not let this hurt NPR and the mission and all the good in the building." Several of the people who spoke with CNN gave Mohn credit for holding the meeting. But doubts persist. Recent contract talks with NPR's union were contentious, so relations between management and the newsroom were already strained before the Oreskes scandal became a big news story. Now the strains are publicly visible. "The NPR newsroom staff is so talented and yet it seems weighed down by its management's fumbles, ineptitudes, and poor decision-making," said Alicia Shepard, a former NPR ombudsman. Shepard was the ombudsman in 2011 when there was an embarrassing leadership shakeup. Shepard, now a visiting ethics professor at the University of Arkansas, said "it hardly seems fair to the staff to once again be thrown into turmoil and negative attention because of serious missteps at the top." Mohn first heard about questionable behavior in late 2015. A female staffer went to the H.R. department with a complaint about Oreskes, saying that he acted inappropriately when she sought career advice, NPR reported this week. Oreskes was rebuked at the time, and the matter was considered closed, according to NPR's reporting. In October 2016, another woman contacted NPR. She lodged a complaint against Oreskes dating back to the late 1990's, when he was the Washington bureau chief of The New York Times. This woman renewed her complaint in the wake of the Harvey Weinstein scandal last month. A third accuser also contacted NPR at that time. Among the questions for the independent investigation: Did NPR act swiftly enough when two women contacted the organization? Did Mohn reject recommendations from his senior staff to take action? A number of female staffers shared complaints about Oreskes with CNN last month, weeks before he was pressured to resign. They described his behavior as "boorish" and "intimidating" and said they had shared their discomfort with each other. Several of them questioned whether it was appropriate for Oreskes to oversee NPR's coverage of the Harvey Weinstein scandal in October. NPR correspondent Neda Ulaby publicly hinted at this issue in a tweet on October 11, one week after the first story about Weinstein came out. "Wondering how high-level serial sexual harassers in various newsrooms are weighing in on Weinstein coverage," she wrote. 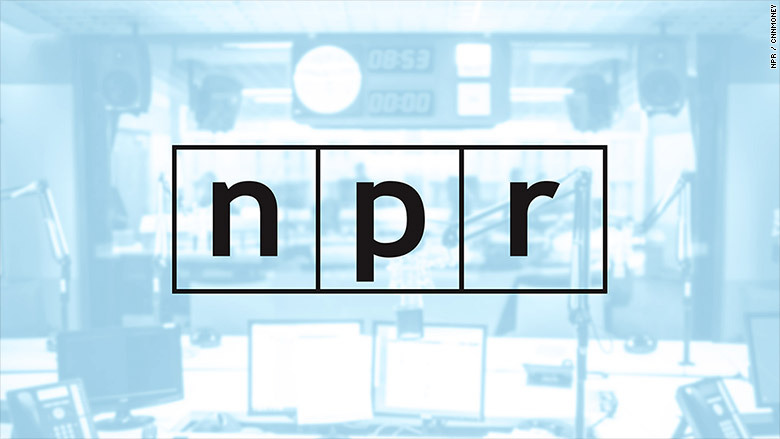 NPR media correspondent David Folkenflik reported on Friday that the NPR board chairman and vice chairman were informed about the complaints against Oreskes relatively quickly last month. But the full board was not notified until October 31, which was the same day the Washington Post published a story about the allegations. Meanwhile, there are new indications that Oreskes' behavior continued right up until a few weeks ago. On Thursday, a woman contacted me with information about an incident that stemmed from one of his appearances on the program I host, CNN's "Reliable Sources." The conversation started out professionally, and eventually they made plans to meet in Washington, D.C., ostensibly to talk about media careers. The accuser said Oreskes' behavior at their two-and-a-half-hour long dinner was clearly inappropriate. After dinner, "he suddenly kissed me on the lips," she said. Later in the evening, he texted her, "Wow that was really special. Or you're special." She said she cried herself to sleep that night, fearing his power. Oreskes texted her again several times, but she did not respond. She felt that she was being harassed. The texts stopped on October 12, which is around the same time the two women with 20-year-old accusations contacted NPR. In response to this new account, Oreskes told CNN, "I had absolutely no intention to offend or harass. I'm deeply sorry for allowing myself to say anything that would be taken that way." Another newsroom where Oreskes previously worked, the Associated Press, is also under pressure to address the matter. A petition signed by dozens of men and women at the news organization called on management to "take active steps to seek out anyone who was subjected to inappropriate behavior by Oreskes during his tenure with the company." The petition said the AP should help staffers feel comfortable reporting harassment by anyone else, as well. AP executive editor Sally Buzbee seemingly responded to the petition on Friday with a memo to staff in which she reminded them of the organization's procedures for reporting and dealing with harassment.